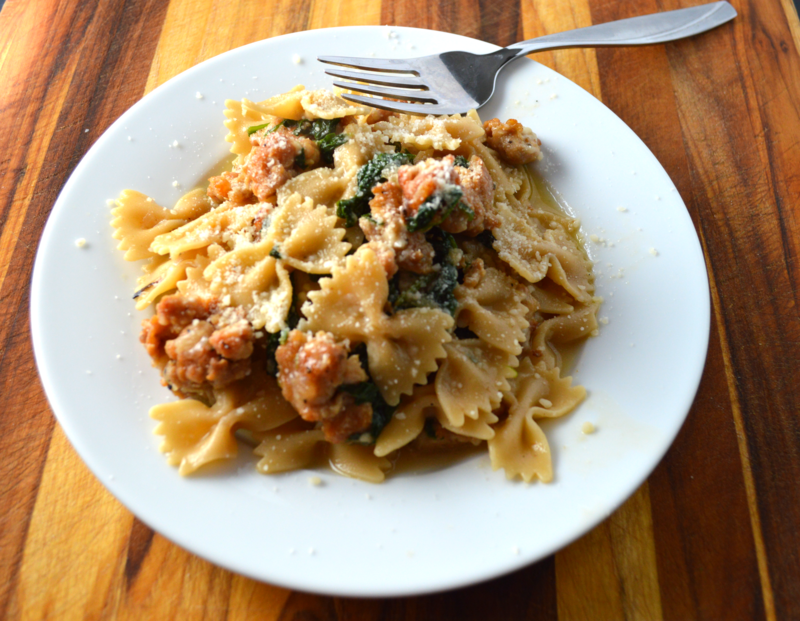 Turkey sausage and kale pasta toss is the perfect weeknight meal. 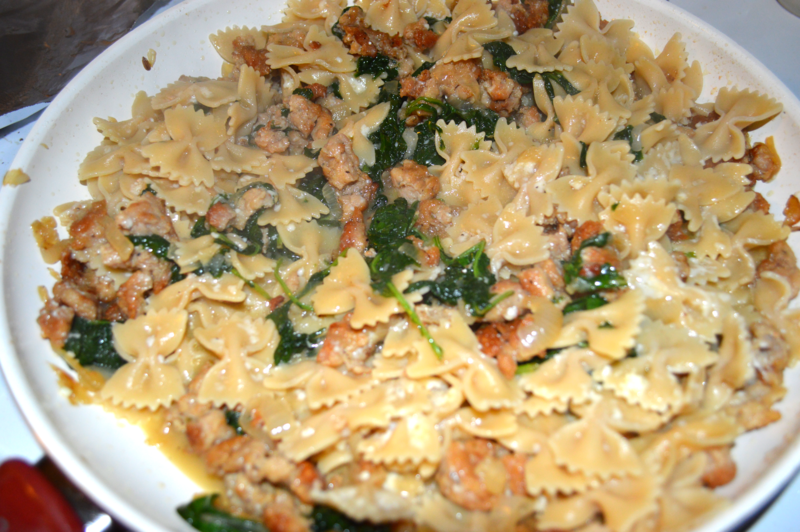 It is packed with greens, savory turkey sausage, and cheese. You cannot go wrong with this one! Just remember, pasta, and Italian food in general, is all about simplicity and balance. Good quality ingredients are key. 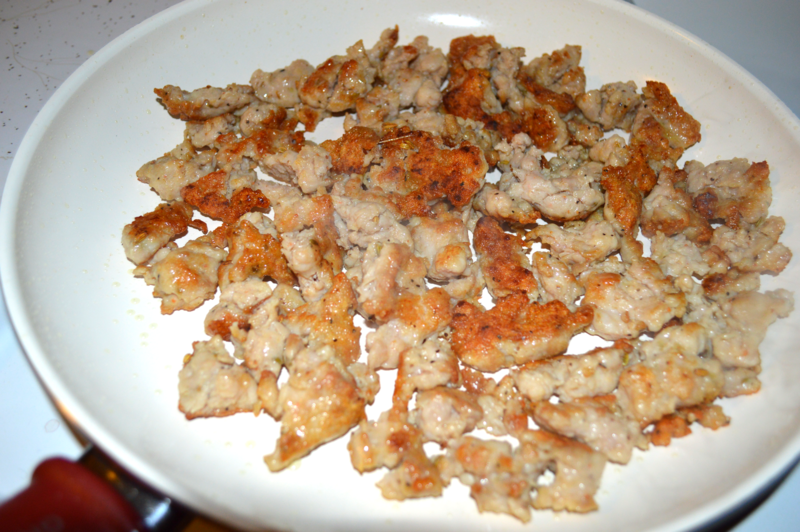 Start by browning one pound of sweet Italian turkey sausage in a medium high heat skillet with a drizzle of olive oil. Do not be afraid of over browning the turkey. 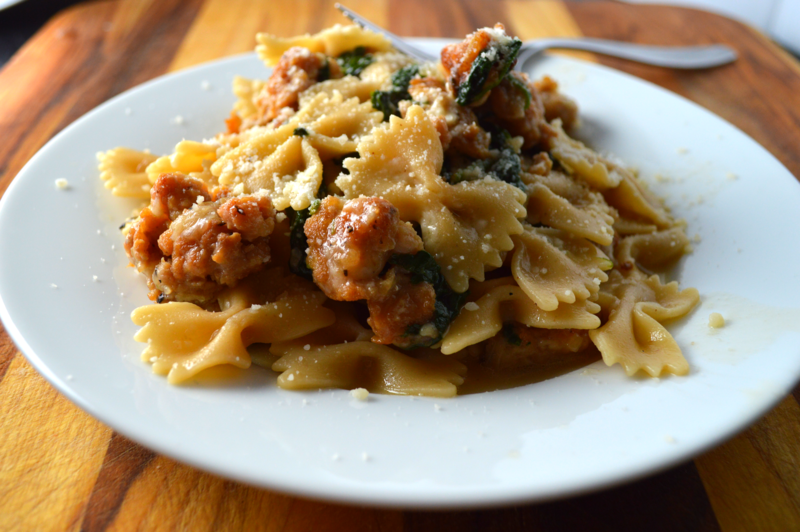 This will give the pasta toss tons of flavor. 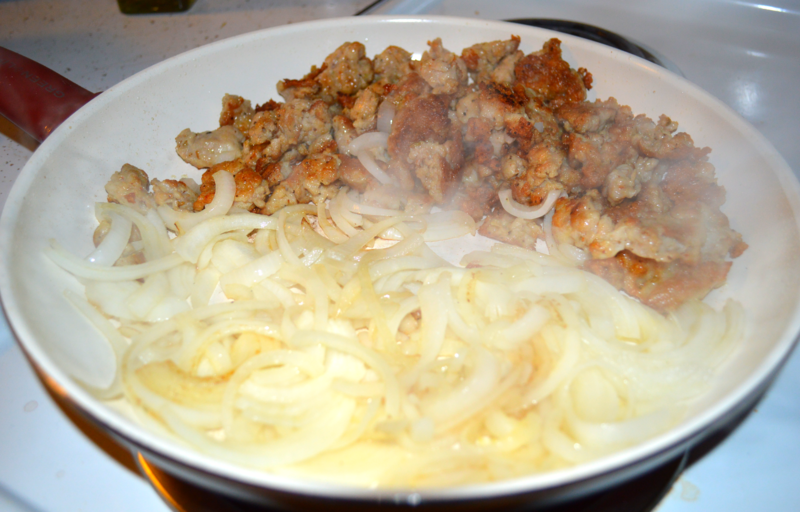 Next, push the browned turkey sausage over to one side of the skillet. Add a drizzle of olive oil, one sliced onion, and a sprinkle of salt. Let the onions saute until they are tender. 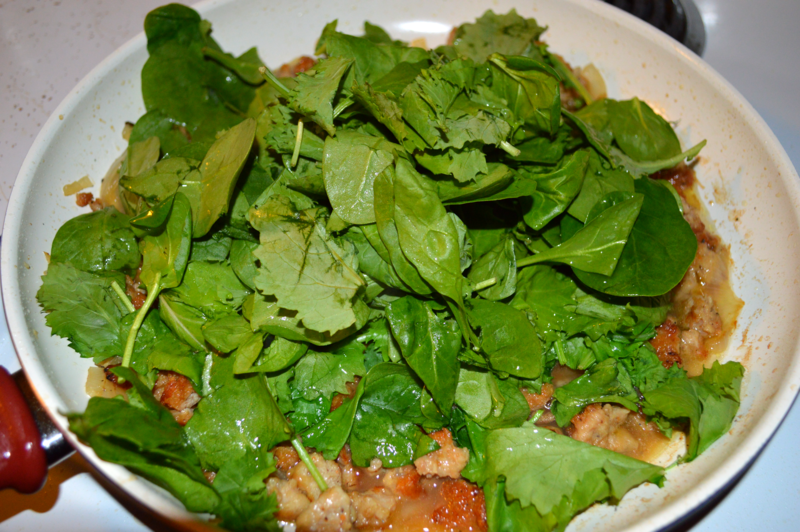 Next add the baby kale, chicken stock, and chili flakes. Cover loosely with foil so the kale wilts and cooks into the sauce. Toss the pasta with the sauce, adding cooking liquid as needed. Taste and adjust seasoning. Enjoy! Brown the turkey sausage on medium high heat. Push the sausage to one side. Add a swirl of olive oil, onions, and a pinch of salt. 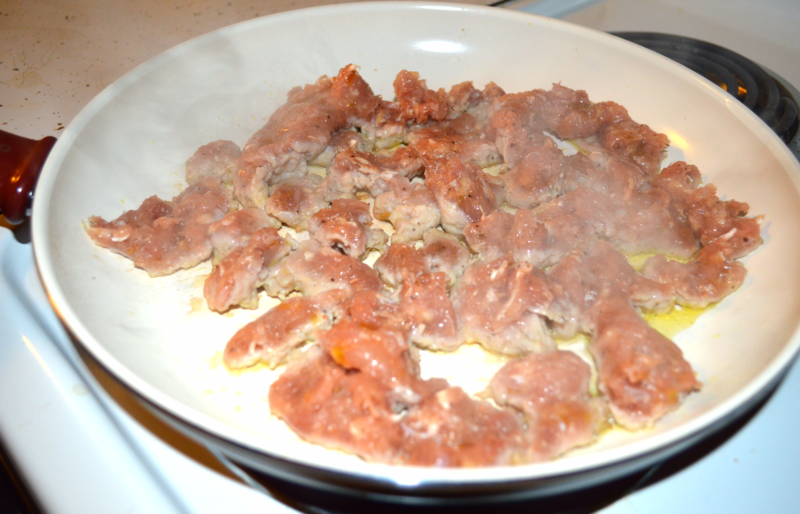 Saute until soft, about 5 minutes. Add the chicken stock and kale. Cook until wilted. 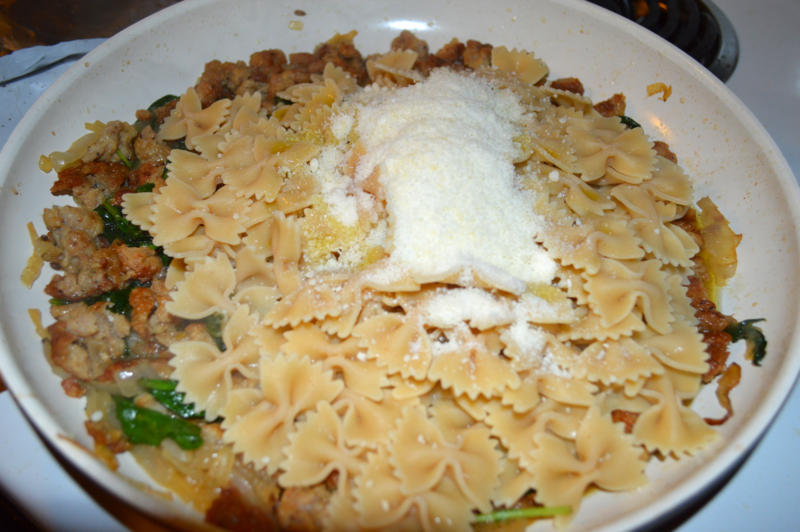 Add the pasta, a drizzle of olive oil, and cheese. 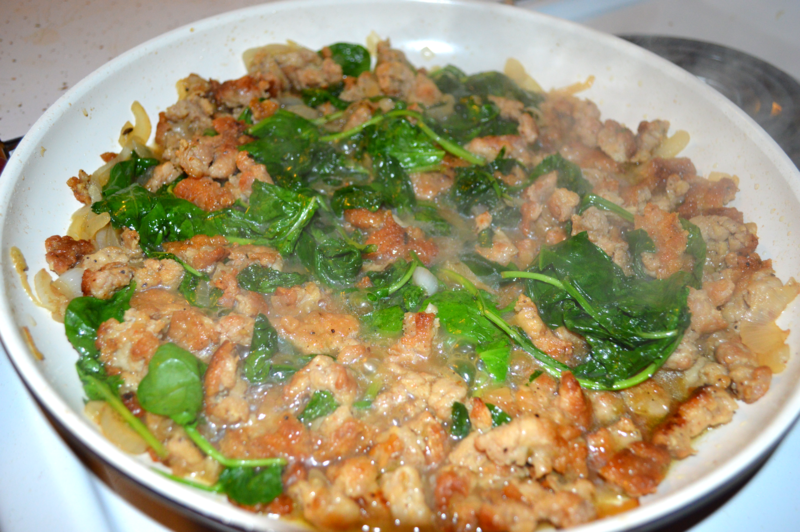 Stir in pasta water to make a sauce. You may not need the entire cup.